Indian man sues for being born. Armed Polite Society > Main Forums > The Roundtable > Indian man sues for being born. The boundary of stupidity is expanding. Re: Indian man sues for being born. A good case for abortion at 1400 weeks gestation. Didn't Sophie Tucker say "life begins at 40"? So why doesn't he just go ahead and commit suicide then? It's India, how much money is he actually expecting to rake in? This sounds more like an insurance scam to me rather than a real lawsuit . . .
What would be telling would be if his parents had a big umbrella liability insurance policy. If so, and if the parents don't put up a vigorous defense, an Indian court may actually award damages . . . which the plaintiff might then split with his parents. Court finds in his favor, bailiff shoots him. Court staff home in time for lunch. Stains never come out of the carpet, and the risk of an overpenetration could damage nice things in the courtroom. 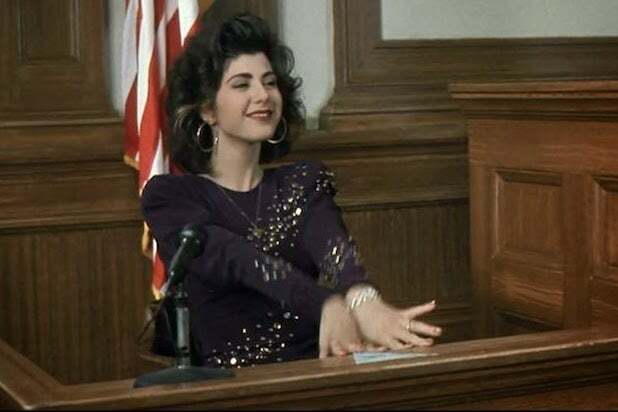 Marisa Tomei on the stand in "Vinny." I was amazed at that fact, which I only happened to come across while searching for images of nice things in court. The film has also been lauded by attorneys for its accurate depiction of court procedure and trial strategy.